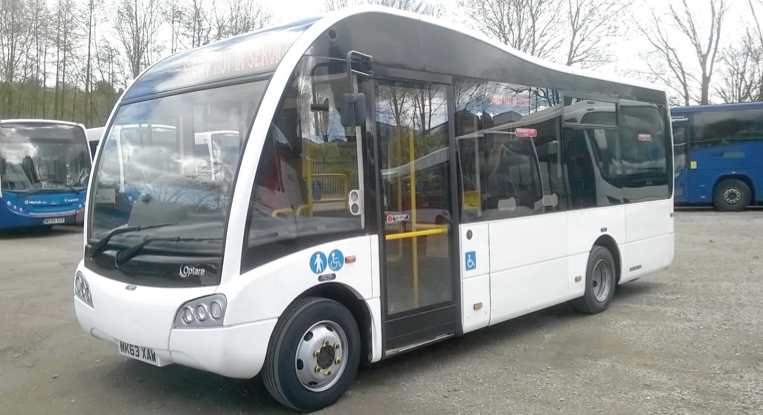 Own a 7.2m Optare Solo for just £1499 per month! 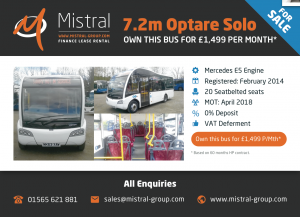 Own a fantastic 7.2m Optare Solo Mercedes E5, with 20 Seat-belted seats for just £1499 per month! Contact Mistral today to find out how you can benefit from the following great offer! * Subject to 60 months HP contract.